Find the latest news and information about California workers compensation insurance. California is currently the most expensive state in the country for employers workers compensation coverage. California rates have continued to rise over the past 10 years. Much of the increased costs are caused by the rising costs of medical coverage and state laws. State law requires that all employers provide workers compensation coverage to any employee of the company. It is illegal for any employer to pay a medical bill directly to the provider. A claim form (DWC Form 1) must be filed with the insurance company for any injury requiring more than first aid care. Failure to purchase workers comp coverage is a criminal offense in California. Employers may receive a fine of $10,000 or more and up to a year in a county jail. Employers can choose to buy coverage from a private insurance carrier or they can choose to get coverage from SCIF (State Compensation Insurance Fund). The state does not require that coverage was declined by a private insurance company in order to submit for underwriting. While the California State Fund can be competitive with the private markets, businesses are advised to seek quotes from three or more insurance carriers in order to ensure fair market pricing. The California Department of insurance has approved the new rate filing proposed by the California State Fund. Effective September 1st, 2016, California policyholders will see an overall reduction in rates of 9.5%. This is good news for most policyholders since rates had been on the incline for several years prior. The most recent premium comparison indicate that California state moved from the third highest rates in the U.S. to the number one spot. Rates are estimated to be approximately 188% higher than the study median rates. • New Policies- prior to the acceptance of the quote. • Renewal Policies- as part of the renewal quote and prior to the renewal effective date. California administers its own workers compensation program aside from the NCCI (National Council on Compensation Insurance). While California utilizes many of the same 4-digit classification codes as NCCI, they have multiple state special and state exception codes to the standard NCCI Scopes Manual. Employers should be cautious when trying to attempt self-classification without an experienced agency such as Workers Compensation Shop.com. California is a No Fault workers' comp system. The State Fund was created by the legislature in 1914 in order to guarantee insurance access for California employers. The State Fund is designed to be a non-profit public enterprise under state statute. 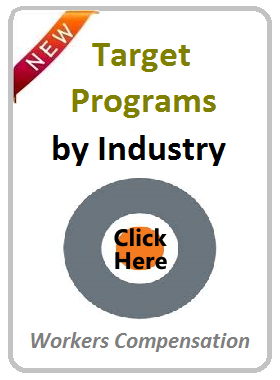 The organization is self-supporting and generate revenue from insurance premiums and investment income. The Fund insures approximately 130,000 state businesses. California employers are required to post the Notice to Employees poster in an obvious place at the worksite. This poster provides information to employees about your insurance company and where to go to seek medical treatment. Failure to post the notice may result in a fine up to $7,000 per violation. Let Workers Compensation Shop.com help your business navigate workers comp insurance in California. Many insurance companies offering coverage in California have segmented their rates by territory and zip codes to separate higher and lower risk exposures. Some areas have even been declined quotes based on their location. 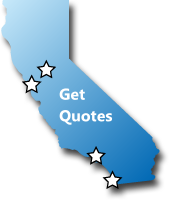 Whether your located in San Diego Los Angeles, or Fresno, We've got you covered. Give one of our California workers compensation Specialists a call today at 888-611-7467 for a free, no-obligating quote on workers compensation insurance.